Increase visitor engagement and credibility of your business with the help of trustworthy Twitter content on your website. 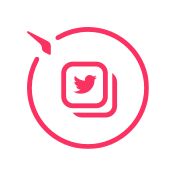 With Elfsight Twitter Feed, you can embed on your site a personalized feed of one of the liveliest social media. 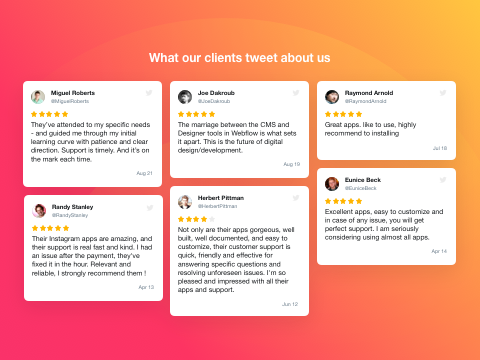 Show your own Twitter account with custom header and action buttons available; display Tweets selected by hashtags or demonstrate customer testimonials from Twitter about your business. 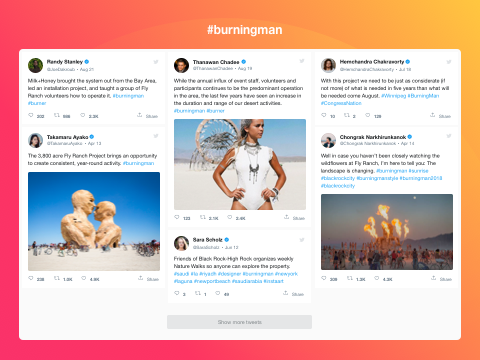 Your users can perform all Tweet actions right on your website: retweet, reply, like, share. Pick the best layout, add colors and set the right proportions of the widget. Grow the number of followers and boost website visitor engagement with fresh interactive feed. It’s easy to add a personalized Twitter feed, using our widget. Just choose what type of content you want to display. 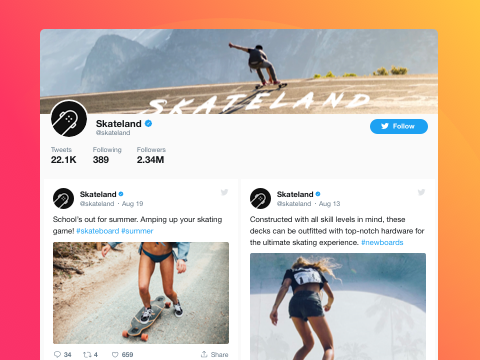 Enter username if you wish to show Twitter timeline of a user; specify hashtags - and all Tweets having them will be in your feed; or find the best testimonial Tweets about your business and add their URLs to show them on your website. Elfsight Twitter feed can be installed to any page of your website and can get exactly the size that you want. You can also customize the color of active elements and choose which of them will be shown or hidden. All Tweet actions supported: reply, retweet, like.